As you all know, I am in the midst of a fury of stamping, layering and coloring. I haven't slowed down yet! I am so psyched about what I've been coming up with, it's given me a whole new excitement for nail polish. In my mind, I thought today's mani was gonna be a HUGE fail. I consulted with my peeps and am told this is not a fail but looks rather sci-fi. We shall see what you think. 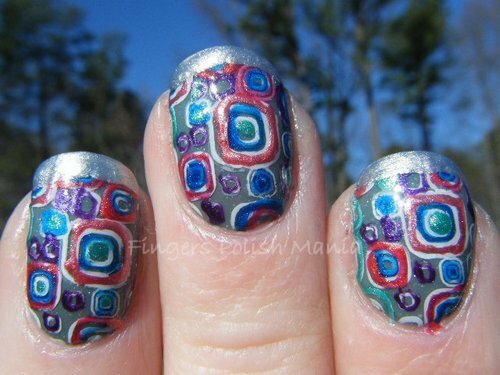 I have included two different options for this mani so you can tell me which way is better. First up, you know it, the silly bottle shot. This is Essie Loophole, Sew Psyched and oh yeah another Girly Bits Stormy Skies. 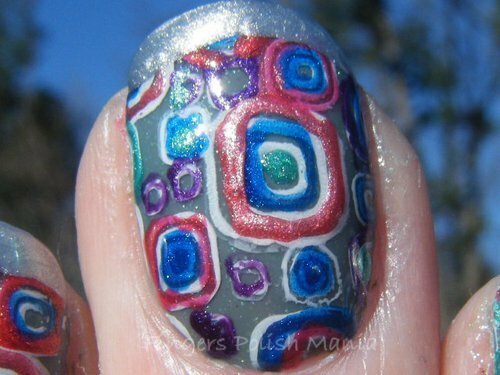 I just can't stop playing with Pam's polishes. 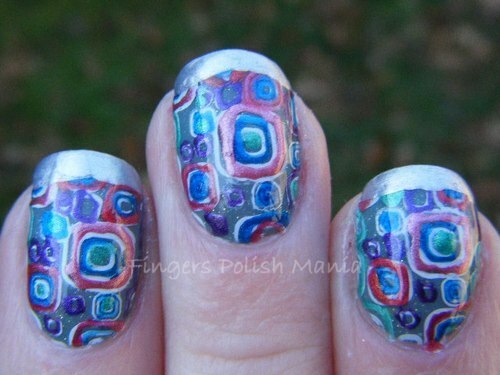 You need some of her polish in your life! I started with one coat of Sew Psyched which is a light khaki green and topped it off with two layers of Stormy Skies which is a blue grey shimmer. Here are your shots. Isn't this so pretty? I love this combination. 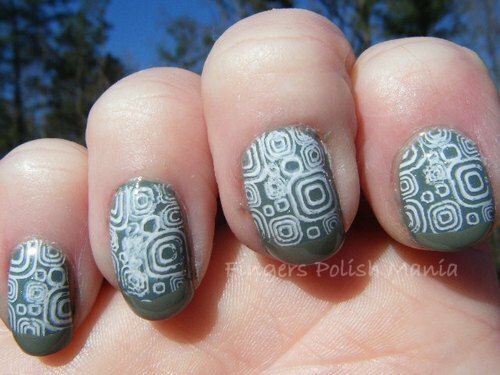 I then stamped with Sally Hansen Whirlwind White with XL plate B. Here is the before combination. Yes this is my right hand, I added a funky of the original Sew Psyched. This is the before. I then doodled with my nail art pens. 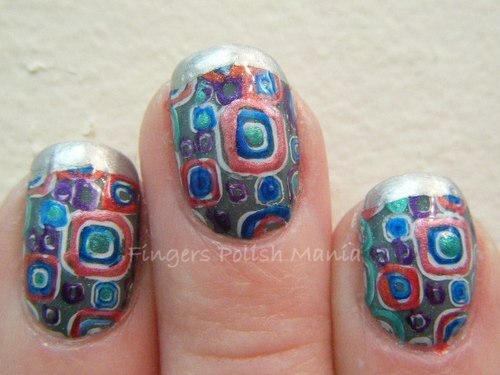 I finished with my funky french in Loophole, which is a silver metallic. Here are the results. I first want to point out the beautiful blue sky in the background of these pictures. Isn't it awesome? So now I ask you people, is this a fail? Was it better before I doodled or do you agree with my peeps and think this looks sci-fi?